Hahaha... a long time ago, I wrote out one of those satisfaction equations. Finish story for work: 10 satisfaction points. Finish book on Leonard Pennario: 50 satisfaction points. Send away for liquor rebate: 10,000 satisfaction points. They had been collecting and one had actually expired. 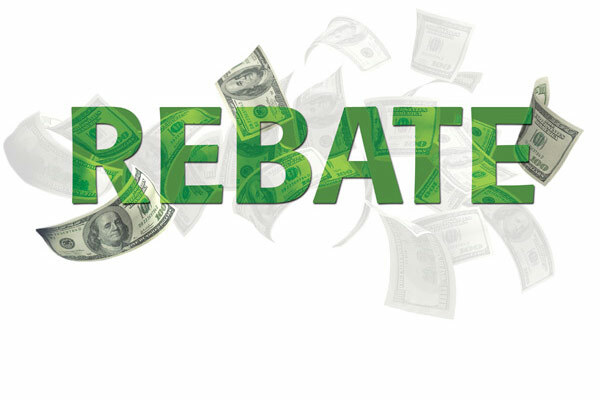 But watch it, if you see that a rebate has expired! Odds are you can still send it in. The receipt has to be before the expiration date. But the postmark does not. Read the fine print! And it is fine. And so I sent away for that rebate and for five others. Here is the winner in the sharply contested field of Rebate Addresses. What computer barfed that up? Another funny thing was, one of the bottles purchased today was the same one that I was talking about that other time. It is the Evan Williams Honey Reserve! The Cherry kind is no good. It tastes like cough syrup. 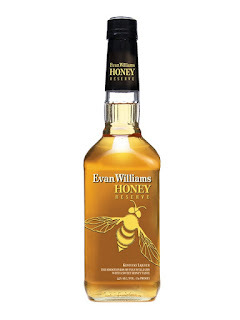 But that Honey Reserve! Mmmmm. That is it pictured above. That is it!! A deliciousness topped only by when you send away for the rebate. I mean actually get it stamped and into the mailbox.